Please add more fonts to Easel. I usually just make the text in another program, I use photoshop, then save it and then use image trace to import it into easel. I’m working on an app right now that allows you to choose any font from google’s web font library and i’m working to add the ability to upload your own font too. Hope to get it submitted for approval later this week. two Halloweens ago is when is when a few google fonts were last added. I believe they had said they had planned to add new fonts regularly when Easel Pro was first launched? maybe there is some massive dump of fonts being planned but’s been a while since anything was added. Another option is to use Carbide Create. It allows you to use any font installed on your computer. 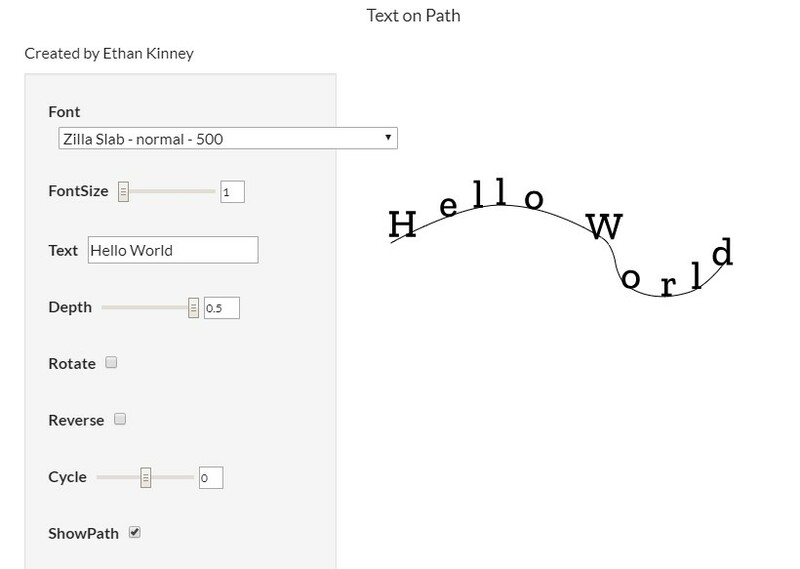 I would love to have the ability the put the font on a path without using a different program. It would save so much time that way. I submitted the app to inventables a few weeks ago, but with the holidays they haven’t had a chance to review it yet. Hopefully soon! Hi Ethan - will this app support line fonts (engraving fonts) like Hershey? I do a lot of small labeling using a 1/32 bit, and right how I have to do it all externally in inkscape. It does look like it will work with hershey. However it does not work with CamBam. However the app is currently on hold while I try and resolve some issues that inventables pointed out with it.